I now feel a bit upgraded and even more hopeful about the future. I took part in Sweden’s first “RFID Injection party”, organized by the biohacking group BioNyfiken here in Stockholm. We were 11 members that inserted RFID chips into our hands, expecting many more to follow. We are all curious and excited about new technology such as biohacking. We want to expand our capabilities. Personally, I want to experiment and expose myself to this as I see so many potential eHealth possibilities. I am also certain that us early adopters in this currently rather nerdy field can contribute to finding new, innovative uses for these biohacking technologies, uses that the tech platform developers never thought of themselves. 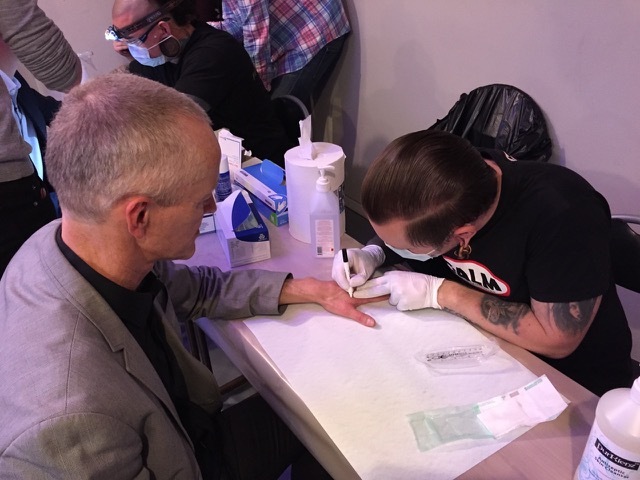 But we hired very experienced professionals for the injection job, so everything went smoothly: the Stockholm based company with another cool name: Stay Calm Bodymodification. You can probably guess who they are in the group picture! A bit relieved after the injection, there was remarkably little pain. 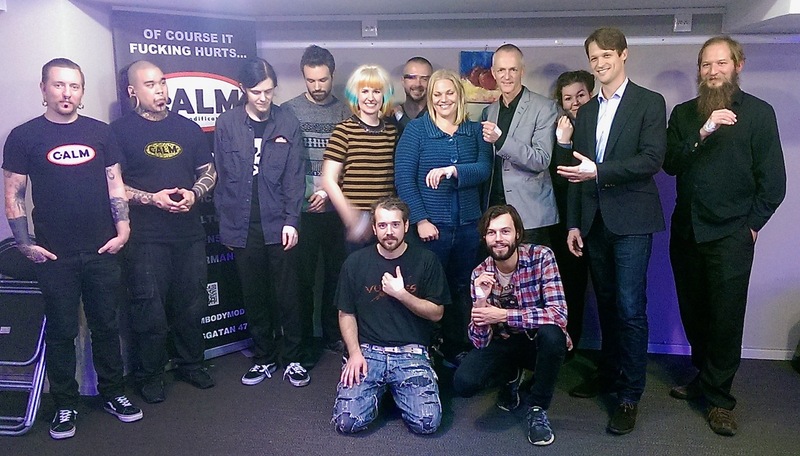 The 11 biohackers with our upgraded hands, members of the Meetup group BioNyfiken http://bionyfiken.se/ Arre you curious? Join us!